It's a hot summer day of June. Luckily, I managed to get on the right bus in Elbasan and I'm finally slowly approaching Albania's capital. The dusty city welcomes me with the fervor of the upcoming elections, the walls are paved with electoral posters of all possible colors and thousands of flags wave in the air while I make my way through the city. I'm going to meet Pellumb Furtuna, director of Rromani Baxt Albania, a local NGO that provides services for the Roma community in the area. I'm recording interviews for a short video focused on the issue of child labor in Albania, so I'm all equipped with camera, tripods, microphones and... sports shoes. Field work, one needs to have comfortable shoes. ...I fall into a hole. It takes me about 15 seconds to realize what has happened. I'm literally down into this hole up to my underarm, only head at the surface and feel like crying as all children surround me with compassionate and worried looks on their faces. I manage to get out. There is blood on my foot from the scratches but I'm not worried about that. I'm not even thinking if I broke my bones or if I hurt myself more seriously. The only feeling I have is... shame. Shame and embarrassment. Children keep asking Danjela "But didn't she see the hole? Why didn't she see it"? They feel bad about me, but at the same time they are a bit puzzled: everybody knows there are holes in Tirana, you have to be careful. Manholes missing the cover are everywhere. Apparently, manhole covers are stolen to sell the iron. No matter the reason why they're not there, and why the local administration doesn't deal with that, one thing is sure: if you live in Tirana, you are simply used to seeing these holes every step of the way. By all evidence, I didn't see this one. The large bruises on my leg reminded me of this experience every minute for the following days. It was huge, it ached and pulsated during the night and when I looked at it, it made me think of the map of Denmark, or something like that. For weeks I observed it changing colors, from black to blue, then from green to yellow, until it finally healed just a few days before my wedding. But that’s another story. The reason why I'm writing this story, though, is not to highlight how pedestrian-unfriendly Tirana is. Stories about the city "traps" have probably circulated already, like the famous incident a few years ago, when a cat and a mouse engaged in a chase accidentally ran into high-voltage cables at the main power station in Tirana, frying themselves and causing a 3 days blackout in some districts of the Albanian capital. From my experience, blackouts in Tirana are still pretty common. Similar incidents happen so frequently that people simply get used to them. This is what I call the "missing manhole cover" paradigm. Dysfunctional, unpleasant or simply unjust things become part of your everyday life and reality to the extent that you stop noticing them. In the same logic, you get used to see children in the streets doing all sorts of works: washing cars, selling cigarettes, souvenirs, agricultural products or serving you coffee in a bar. When you are surrounded by all of this everyday, it becomes normal and you don't even question it anymore. Albania’s labor code, its child rights legislation and various international conventions ratified by the government all prohibit the work of children, but child labour continues to be a great concern. Children in Albania continue to be employed for even more dangerous works, like collecting chromium in the mines of Bulqiza, side by side with adults. If you see missing manhole covers around your hometown, in theory, you could put pressures on the authorities to deal with this safety hazard. But in end, you get used to it, and most of the time nobody gets hurt... besides the occasional filmmaker coming from abroad. Occasionally, you might find it annoying, but you end up giving little importance to missing manhole covers around town. The problem is... the same happens with many other things. So for example if you see children working, at some point you may think that this is not right. But then you just get used to seeing them and child labor becomes something normal. It becomes a mild annoyance if children bother you on the street trying to sell you useless stuff, but you barely notice them any more. If you're interested in fighting the issue of missing manhole covers in Tirana, I don't have great suggestions. Maybe, getting in touch with the local administration would be a start. But if you are interested in supporting the fight against child labor in Albania, then I do have a suggestion. 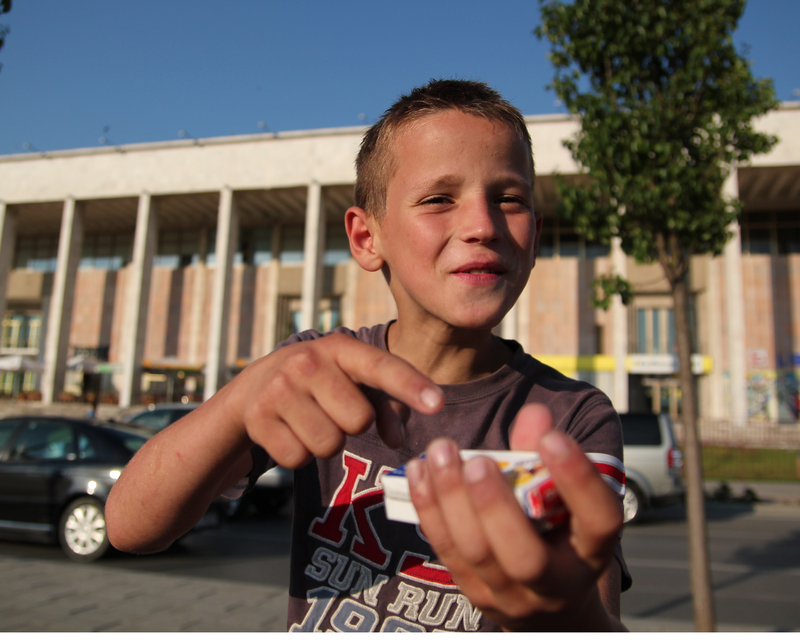 Get in touch with BKTF, the Albanian coalition of child protection NGOs. 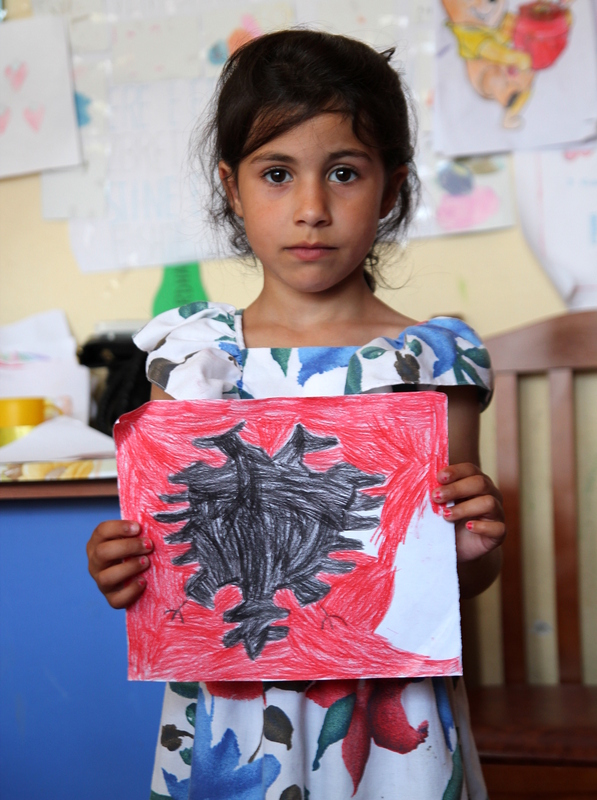 They know about all projects and initiatives that are taking place in Albania to support vulnerable children and they are in the best position to advocate for child rights in their country. Unfortunately, the "missing manhole cover" paradigm is at work well beyond the borders of Albania. If you keep your eyes wide open, no matter if you live in Bucharest or New York city, you might realize that in your everyday life there is a "missing manhole cover" that you stopped noticing. Instead, you learned walking around it. Seeing that the problem is there might be a good start. Taking action should be the following step. If now you feel like taking action but you don't know where to start, I have another suggestion for you. While you're still in front of your computer, follow this link and sign this petition. It's an important initiative by ChildPact - the Regional Coalition for Child Protection in the Wider Black Sea Area - aimed at establishing a regional mechanism for child protection accross the region. Thank you and... keep your eyes wide open.